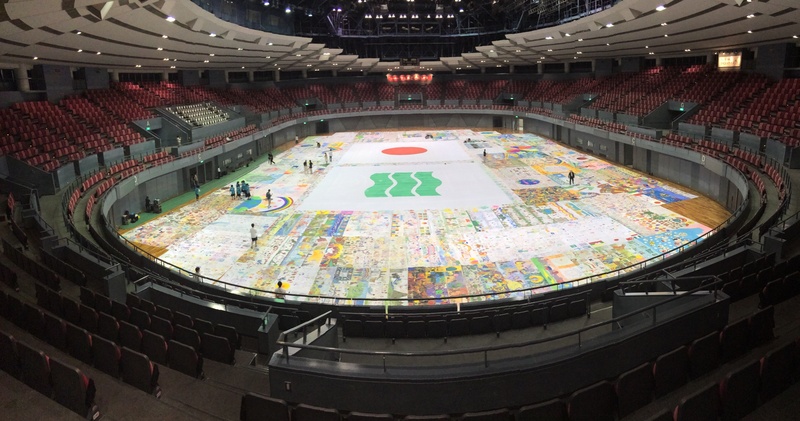 the Biggest Painting in the World 2020 in Kitahiroshima was completed. At Omagari Elementary School in Kitahiroshima City, Hokkaido, the Biggest Painting in the World 2020 in Kitahiroshima was completed. 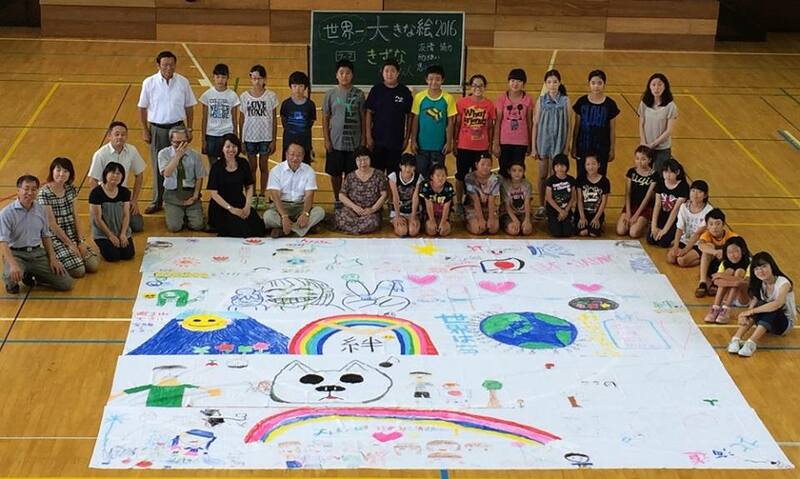 Mothers seamed the picture which children drew together and showed it in a gymnasium. I visited with Mr, Orii and Mr. Sato, the representatives of Hokkaido. 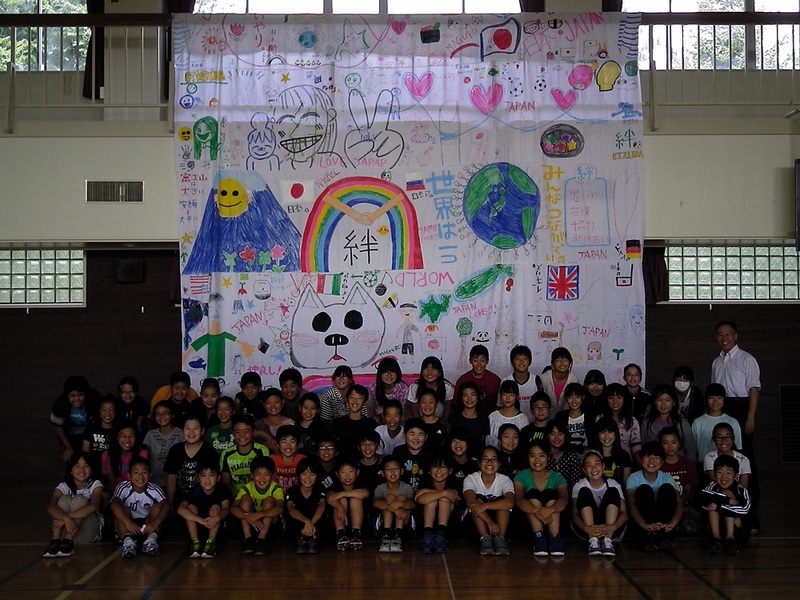 In Omagari Elementary School in Kitahiroshima City, Hokkaido, they drew “the Biggest Painting in the World 2020 in Kitahiroshima”. 25 people from Danbara Village of Hiroshima emigrated in a group, and city’s name was derived from this. There were only a few children because of summer vacation. Then, children who did not picture at this time will draw a picture on August 30, and mothers will seam it together. 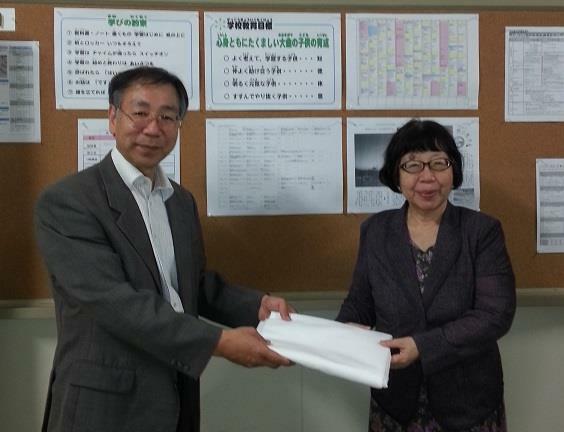 Visited Kitahiroshima City Omagari Elementary School with Mr. Sato and Ms. Shirata, representatives of Hokkaido, and handed the cloth of the Biggest Painting in the World to the principal. I visited Kitahiroshima City Omagari Elementary School, Hokkaido. I visited Kitahiroshima City Omagari Elementary School, Hokkaido. They will participate in the Biggest Painting in the World project. 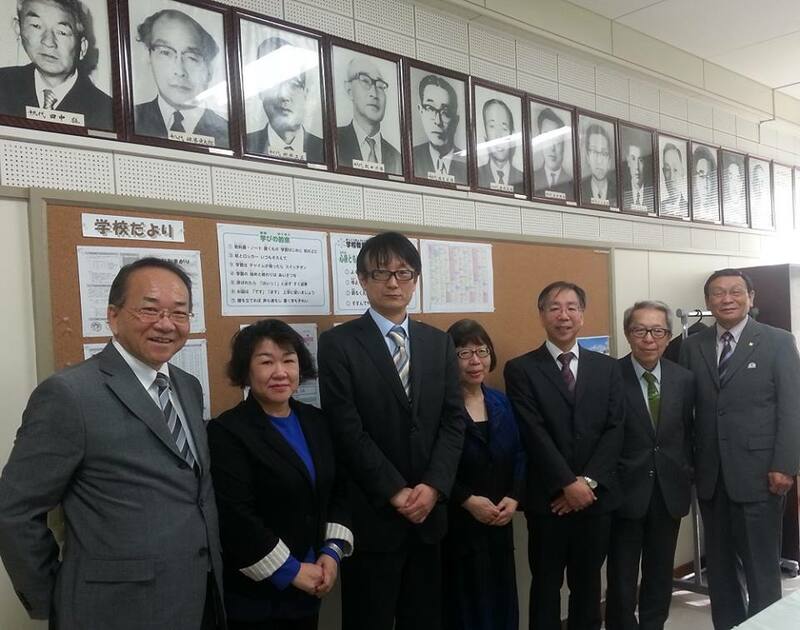 I took a ceremonial photograph with Mr. Yokohuji, a principal, Mr. Aoyama a vice-principal, Mr. Sato of the Inazo Nitobe foundation, Mr. Onuma and Ms. Shirata.